This page is designed to allow the identification the individual Rocket Team members in this famous photo. 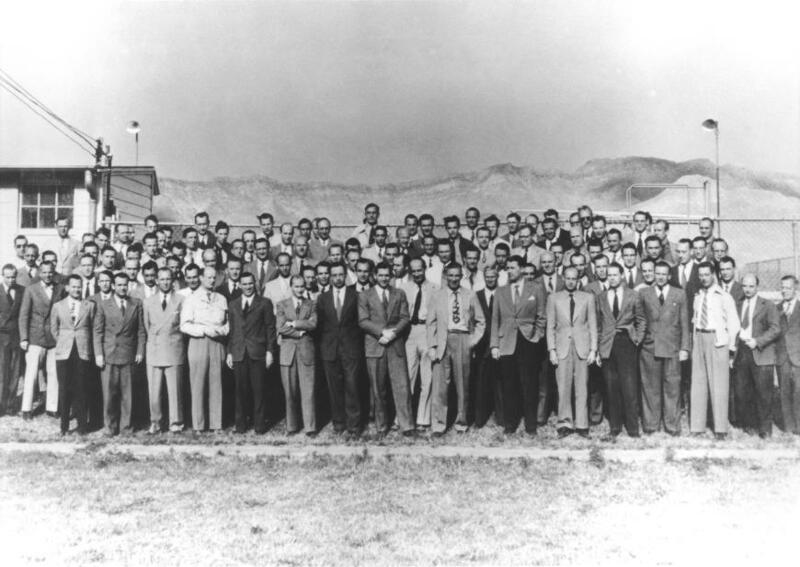 Often used to illustrate Operation Paperclip, this photo was taken in March 1946 when the team was stationed at Fort Bliss, Texas. For additional information about this photo, see my other Rocket Team at Fort Bliss page.